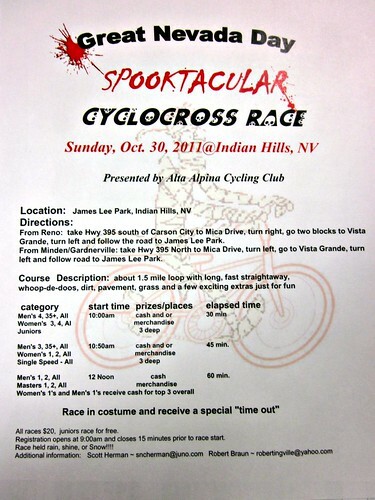 In addition to the Nevada Day Parade, Halloween parties, and all the other fun things going on this weekend, here are two bicycle events that you may be interested in. 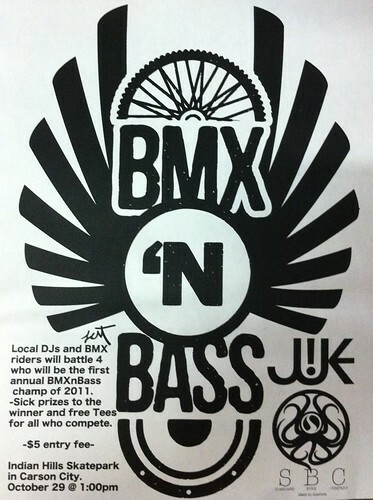 BMX freestyle competition at the skate park! James Lee / Indian Hills Skate Park – Take Mica Drive and Vista Grande Blvd to get to the park. Registration opens at 9:00AM. See flyer for race times. James Lee Park in Indian Hills – Take Mica Drive and Vista Grande Blvd to get to the park. Here’s the flyer in PDF format from the Alta Alpina Cycling Club website.